Notes: A narrow contorted gallery leading to a whitish blotch with scattered frass centrally. The early gallery can merge with the blotch and there are often several to a leaf. 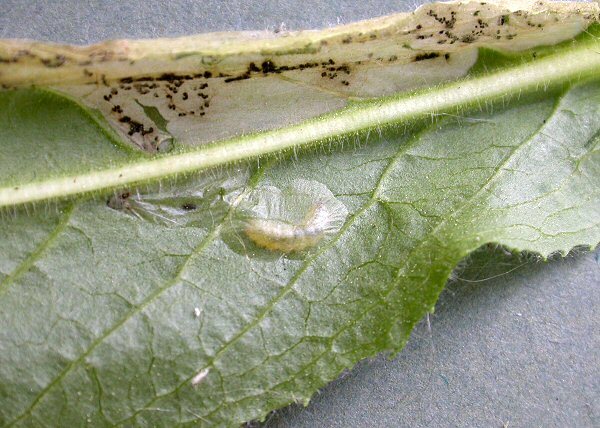 The larva (illustrated) is starting to pupate, after spinning a cocoon on the lower leaf surface.